I am so excited you have discovered this site. 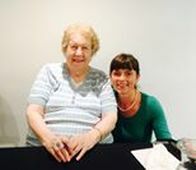 I am trilled to share the empowerment of Quantum Healing Hypnosis Technique with you. Even if you never intent to have a session. I highly recommend you open your mind to the possibilities offered here that can support your bigger sense of who and what you are as a soul living a incarnate life at this time of immense change, challenge and transformation. Welcome to Radiant Essence website where I joyfully share this amazing 'medicine modality of the future'. My name is Mj and I feel that one of my greatest purposes and passion at this time is in supporting human empowerment, both my own and others. 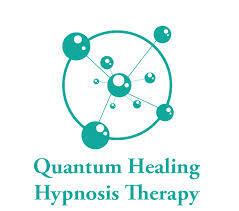 Quantum Healing Hypnosis Therapy (QHHT) and all my offerings related to empowered wellness is held with the highest intention to point you back to your greatest self; healed, happy and fulfilled in all areas of your life and living. We are living in the most exciting and challenging times upon our earth. Each person is being challenged to adapt to a fast pace of change in body, mind, emotions and spirit that has taken place over these latter years and will continue to take place for many years to come. It is imperative at this time to raise your vibrational frequency to the best of your ability to be in alignment with your hearts highest soul truth, purpose and wisdom. This for many people requires the completion of karmic cycles stemming from past life's or simply having more clarity of the bigger picture of whom you really are on a soul level and why you choose to be on the earth right now at this amazing time. WHOM IS A QHHT SESSION FOR .. ? * Anyone whom feels inspired to have a session. Listen to your heart, your gut feeling. * This is for those of you whom may feel like you have tried everything else and have almost lost all hope; you have not been able to find the answer to your issues in what is available elsewhere in one or more of the following: allopathic; alternative; complementary; phycological, channeled or psychic support and knowledge available or other. * This is for those whom are ready for greater self empowerment via alignment with highest life purpose, path and healing. WHERE ARE SESSION HELD ..? At present all session are held in person at Vibrant Living Retreat in the beautiful wellness alpine village of Hanmer Springs. Located 2 hour outside of Christchurch city, south island, New Zealand. It is recommend that you stay the night after your session and enjoy the thermal hot pools right in the village centre. Take advantage of your trip and relax and unwind here at Vibrant Living Retreat a 5 min drive from Hanmer Springs village & thermal hot pools. HOW DO I BOOK A SESSION ..? Allow 3 to 5+ hours for your 1 off QHHT session. On some occasions a session can take longer to cover everything wanted from a clients session. 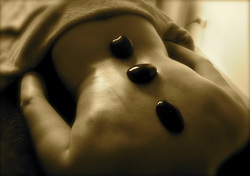 www.mountainviewmassage.co.nz Our Day Spa in Hanmer Springs offering a large menu of massages, beauty facials and pampering holistic packages. BE Thy HEALED HEALERS - BEing THE FREQUENCY OF DIVINE LOVE !